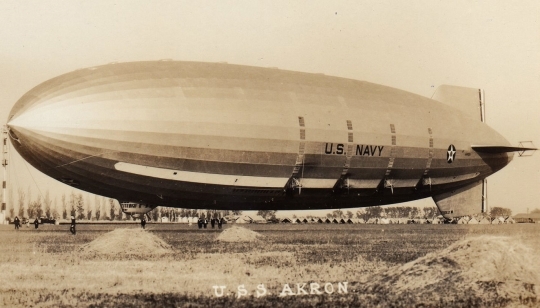 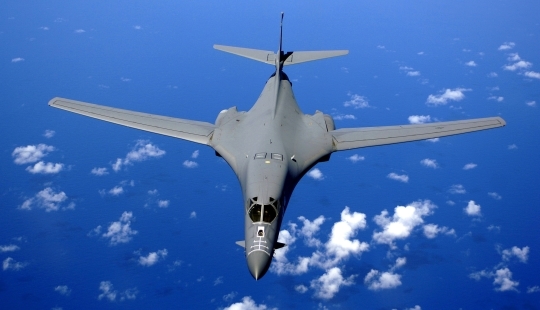 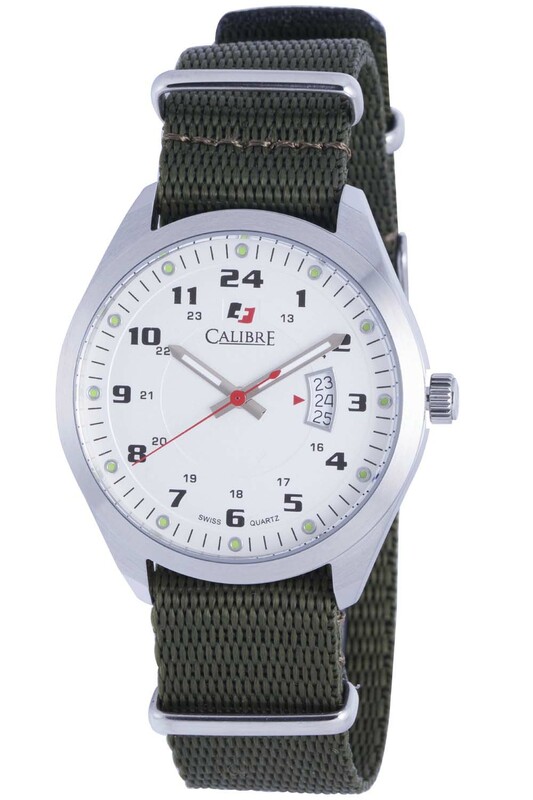 Military watches have always played an important role in the history of timekeeping. These durable, easy-to-read timepieces always put function first, and created their own unique style in the process. 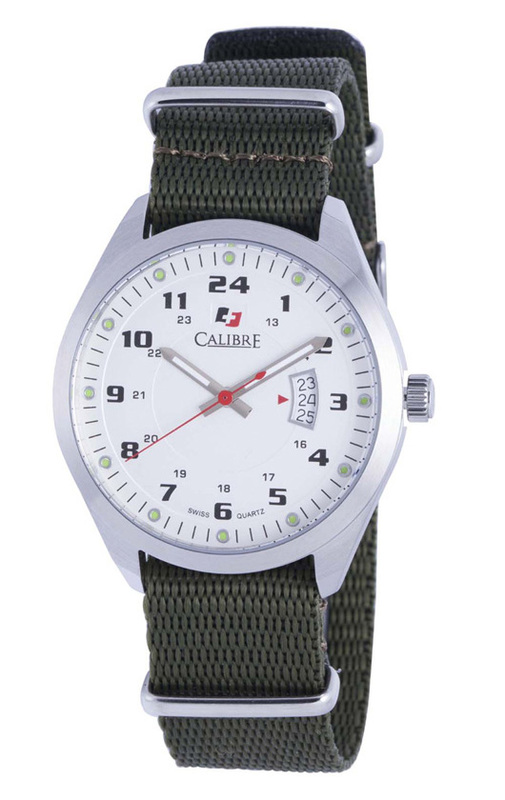 A good military watch typically has a large, clearly lettered 24-hour dial that remains legible even under poor lighting conditions. 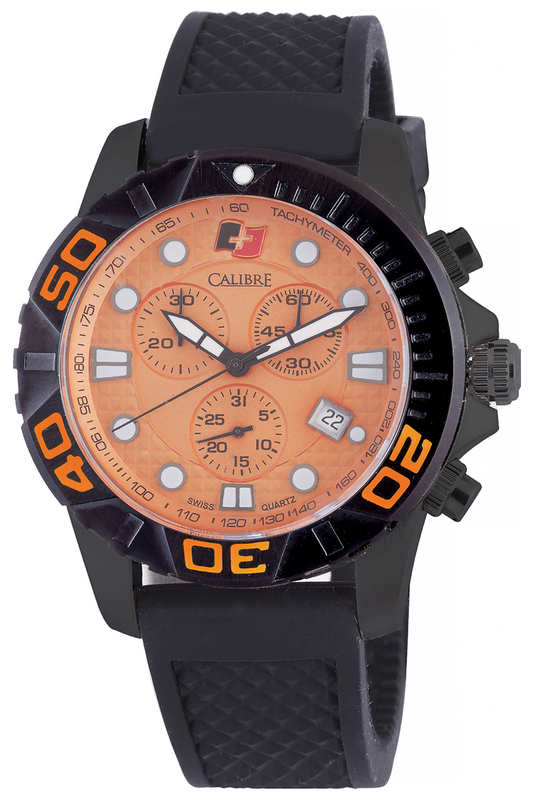 The strap is designed for durability. 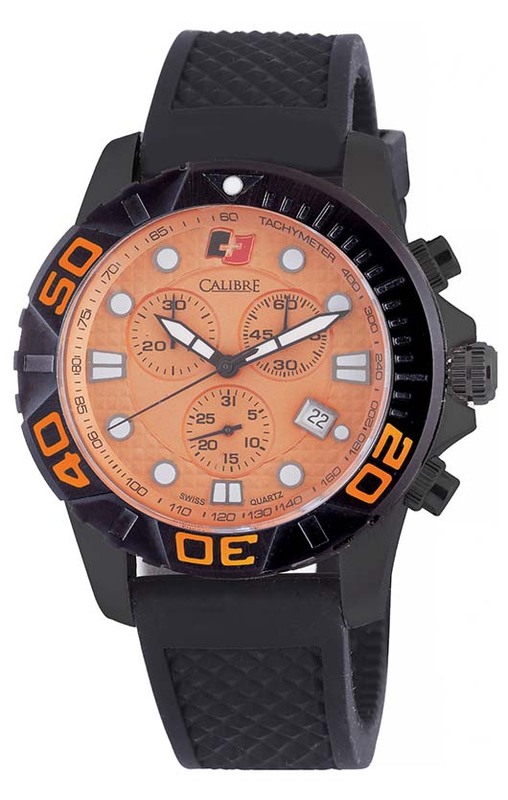 And the watch itself can take a beating. 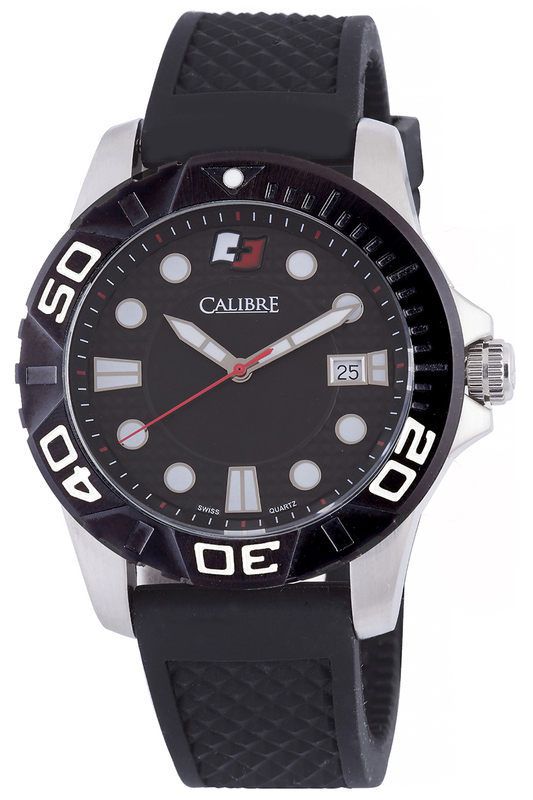 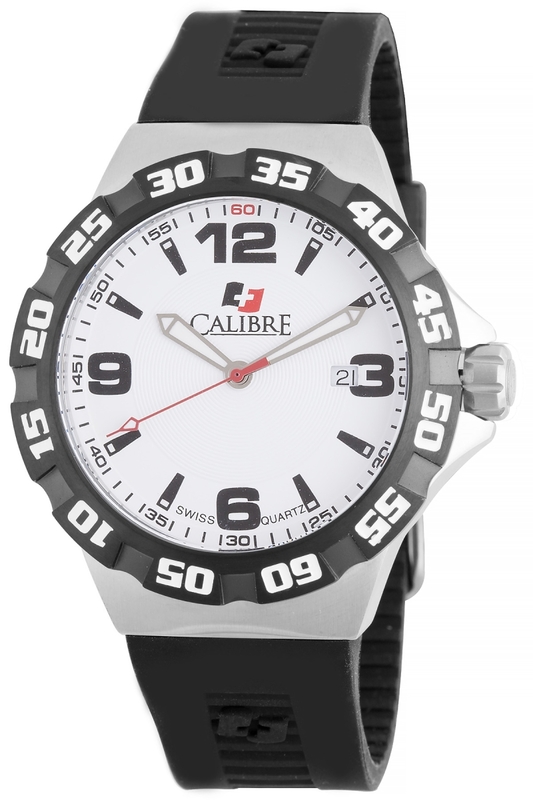 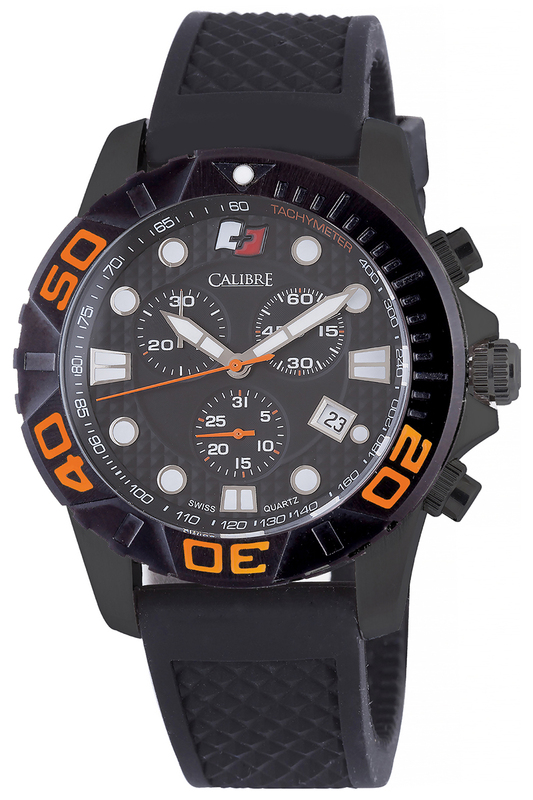 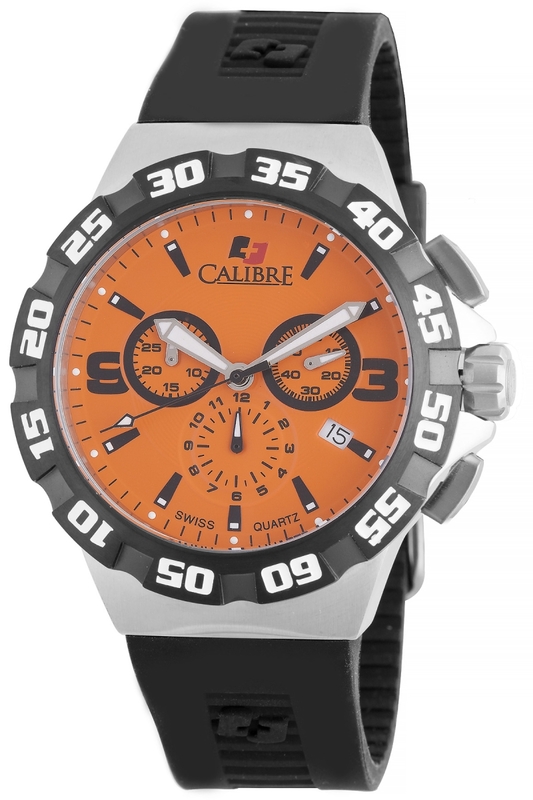 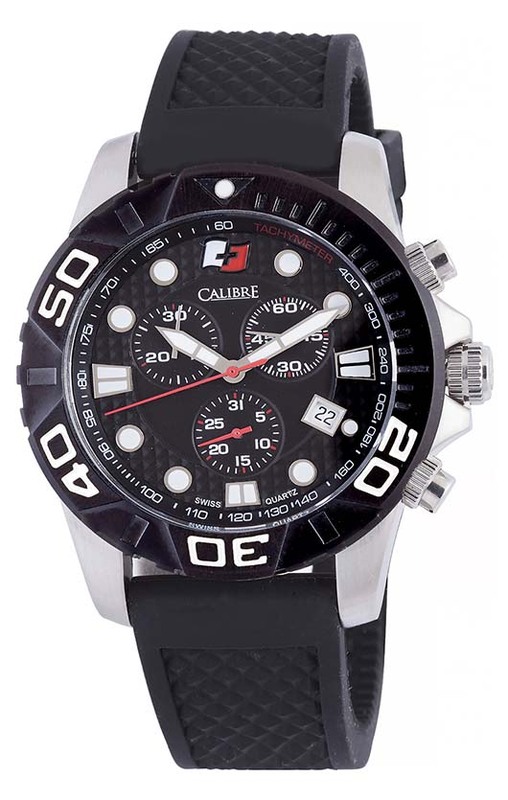 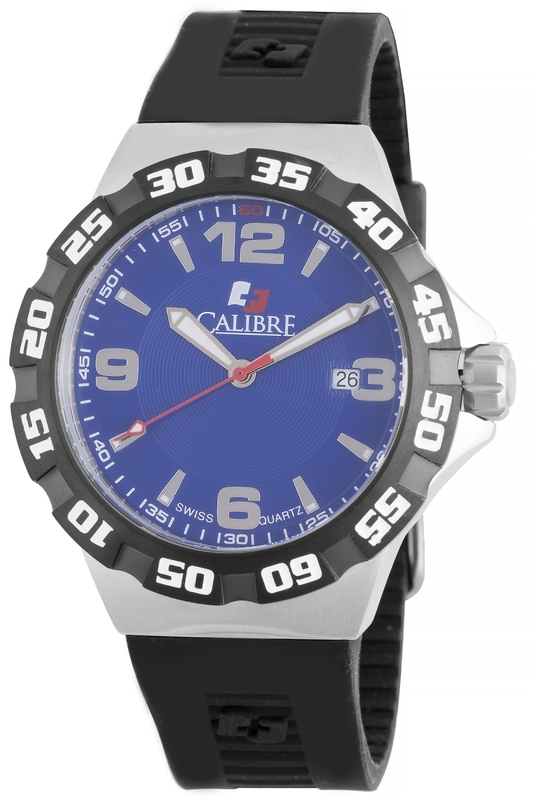 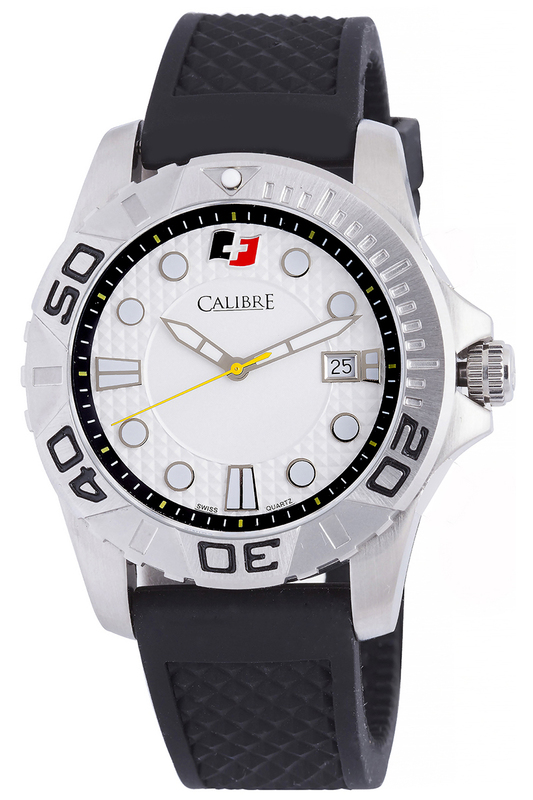 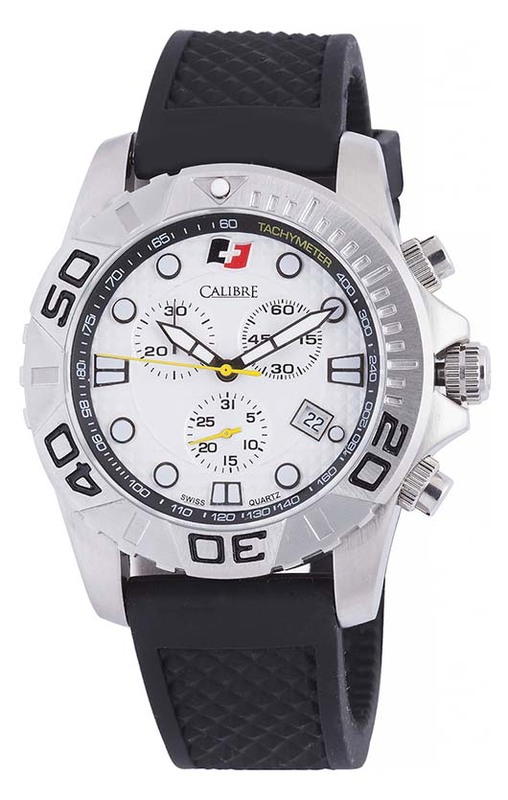 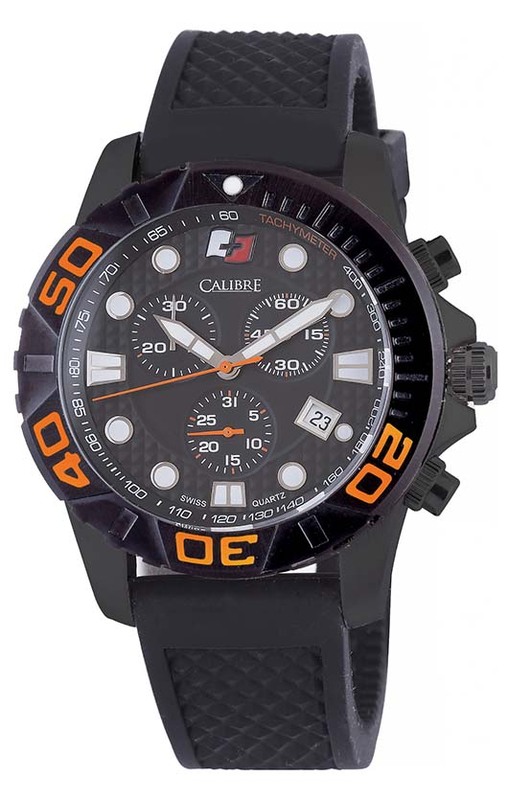 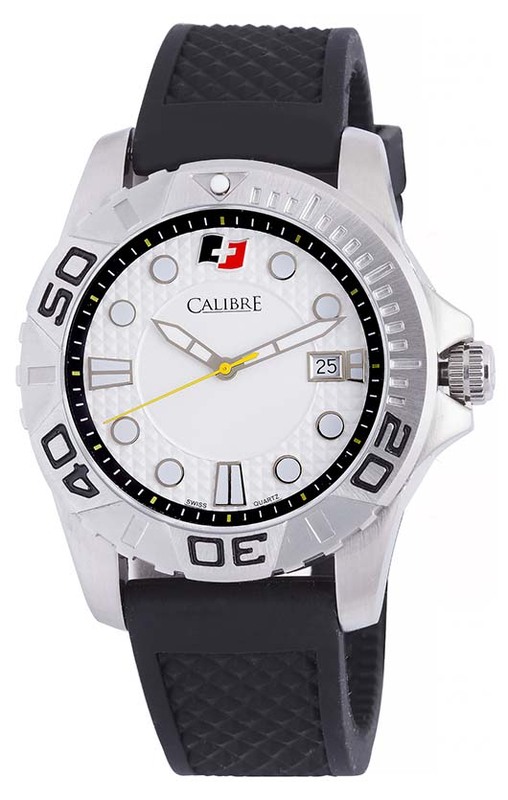 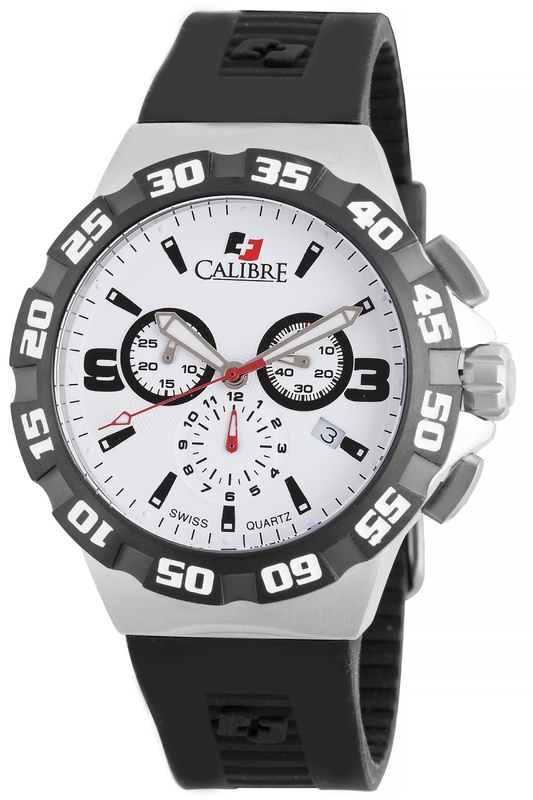 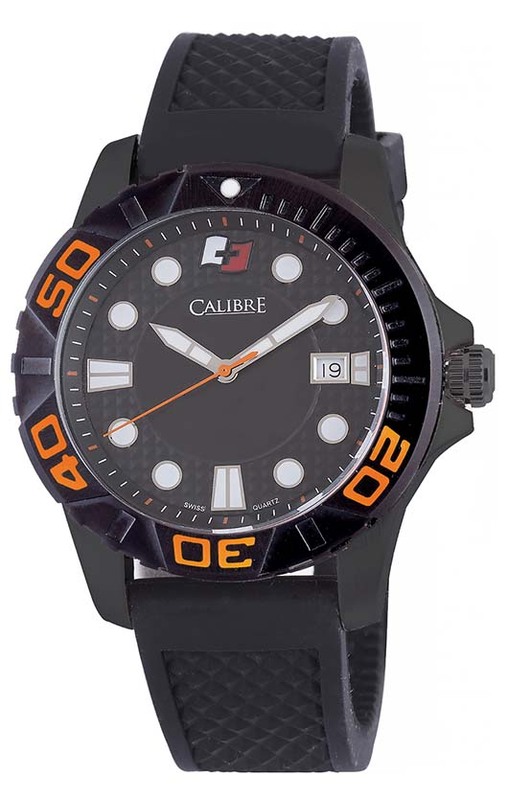 The exciting new Calibre Trooper Watch Collection exhibits all these qualities and more. The 40 mm Calibre Trooper features a practical three-hand configuration with a 24-hour dial and an oversize date window at 3 o’clock. 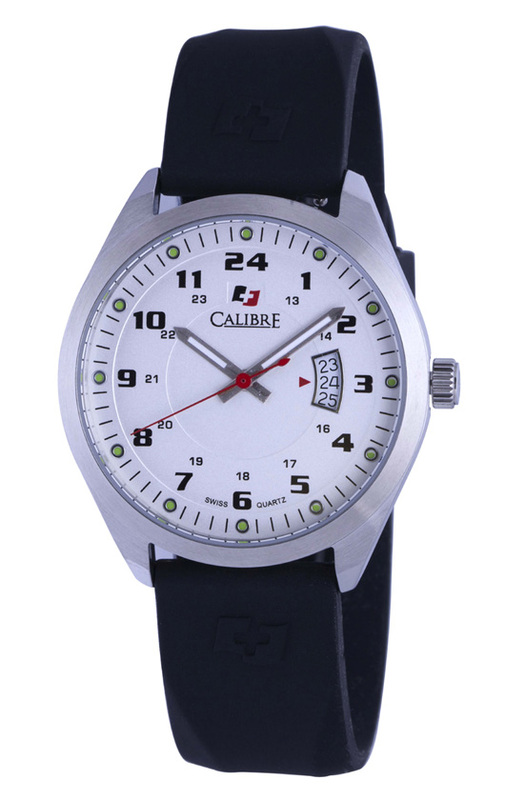 You have a choice of rubber, leather, and authentic NATO canvas straps that are quickly interchangeable with self-change pins. 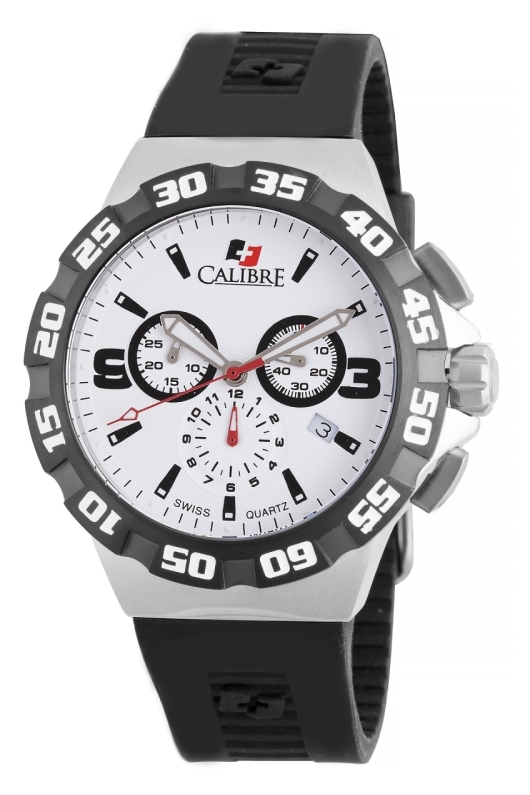 This is a watch you can wear anywhere. 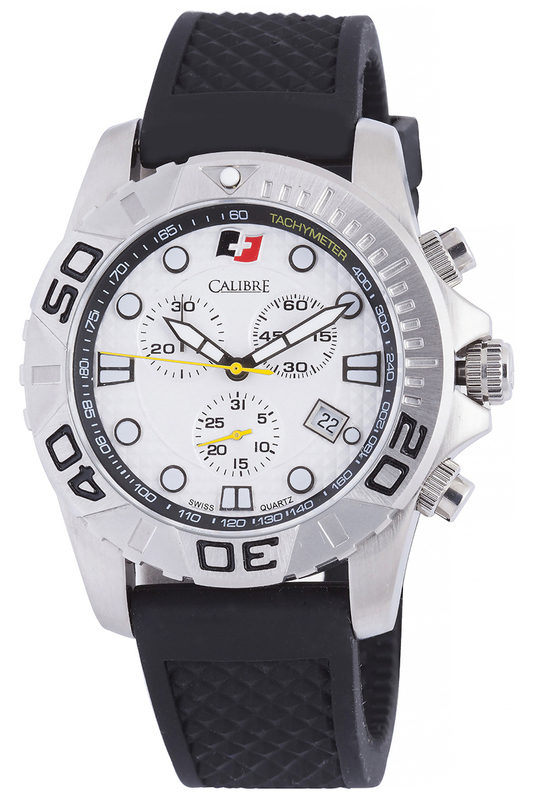 The Calibre Trooper Collection is available with a durable stainless steel or IP black case that is water resistant to 170 feet. You have a choice of black or white raised dials and there are eight different strap alternatives. All Calibre Trooper watches are powered by a precision Swiss made Ronda 505 quartz movement that will provide years of dependable service. 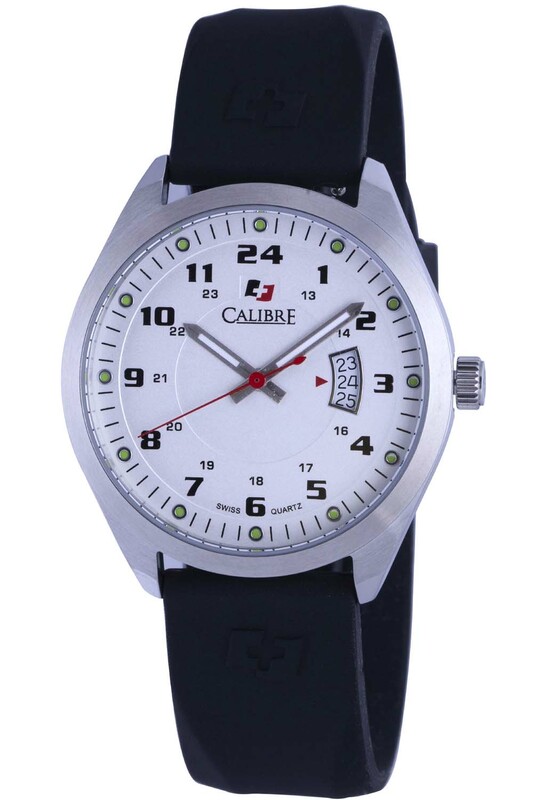 The craftsmanship and attention to detail on these authentically styled military timepieces is impressive and seldom seen at such a reasonable price point. 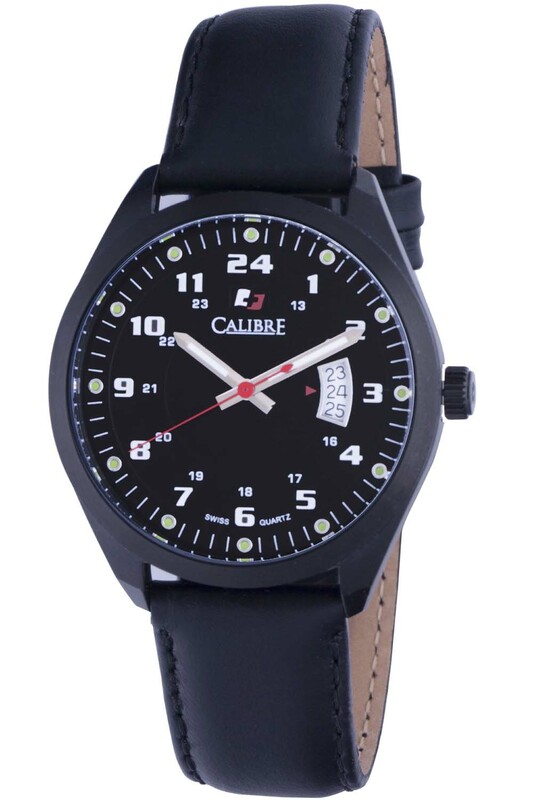 If you’re a person who’s been looking for an authentic military watch that still looks good on dressy occasions, the Calibre Trooper is just what you’ve been looking for. 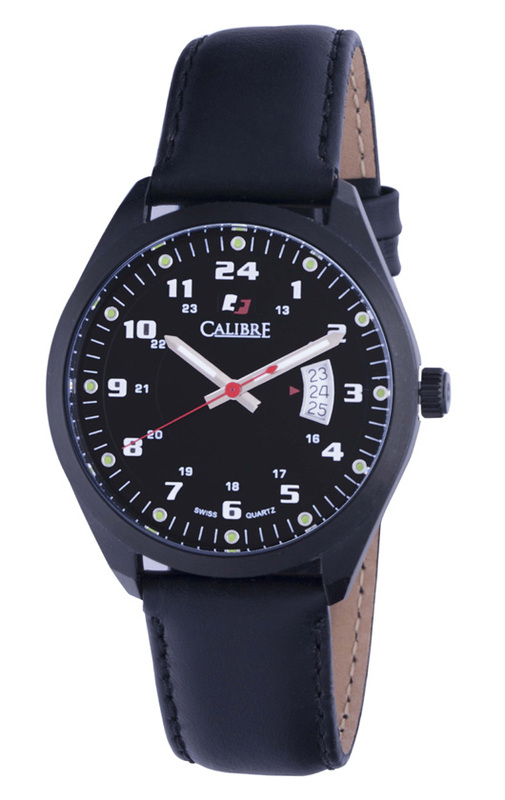 To view the entire Trooper Collection and reserve what may be today’s quintessential military watch, contact an authorized Calibre dealer today.